Congratulations on your new baby! Whether you're sure you want to breastfeed or you're still deciding, know that breastmilk is one of the most important gifts you can give your growing baby. Breastfeeding can be challenging, but it’s worth it. Here is some advice to help you along the way. Making sure you have enough milk is at the top of your mind. Here’s how to make sure your baby has what he needs. There are many things you can do to help yourself feel good about leaving and returning to work. Hey mom, come have some fun! Here you can play games to learn more about breastfeeding, download free lullabies, sign up for our e-newsletter, and more. Everyone has a role to play in helping mom and baby get off to a good start with breastfeeding. You are taking care of baby, but are you taking care of yourself? Making sure that you stay physically and mentally healthy is important for your well-being and your baby’s. Breastfeeding is challenging for everyone at times. 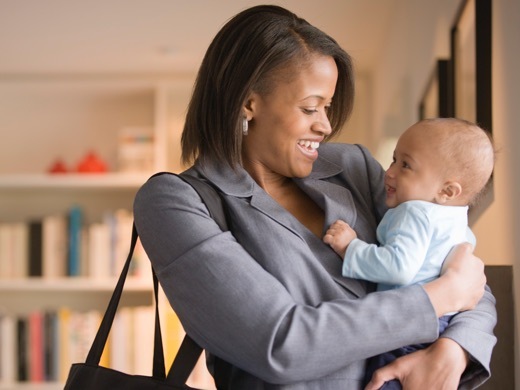 Finding ways to support mom will lower her stress and set her and baby up for success. Choosing to breastfeed your infant can have lasting benefits for you and your child, so it’s good to plan ahead.